Gayle calls me Miss Priss, but my name is Prissy. I came to live here when I was just a few days old. It was the day before Gayle’s Mom (Dorothy) came on her last visit to PA in 2004. Dorothy was a nice lady. She fed me out of a bottle. She was a little bit afraid of me I think. Maybe because I was stronger than she was and could pull the bottle out of her hand. Gayle isnt afraid of me. She used to feed me from a bottle too. She always asks me to stick out my tongue so she can see it. I dont know if she is making fun of me or is just curious, but I dont like for her to see it. I mean, what’s the big deal about seeing my tongue? I’m the only one on the block who has a mostly black tongue. 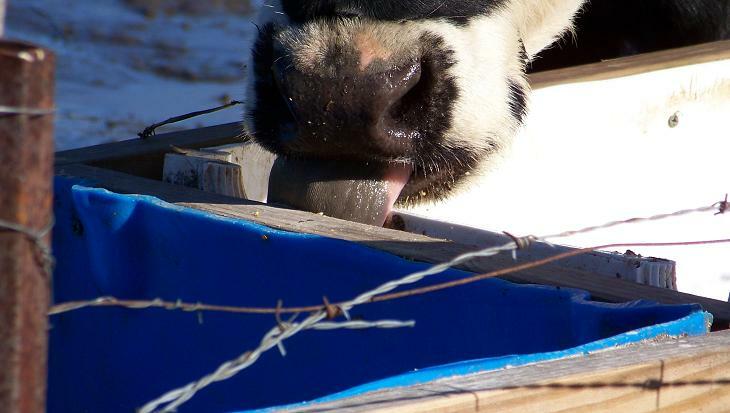 My newest calf, Georgette, has some black on her tongue, but not as much as me. I think Gayle wants to see how black it is. I’m stubborn and dont stick my tongue out at Gayle when she asks. Especially when she has her camera. I have had 3 calves. I am going to have another one this summer. Maybe sooner. That big old bull (my boyfriend) is the daddy. He is such a player tho, he is daddy to all the other new calves coming along too. It’s pretty muddy around here right now. But it sure beats the snow and ice. 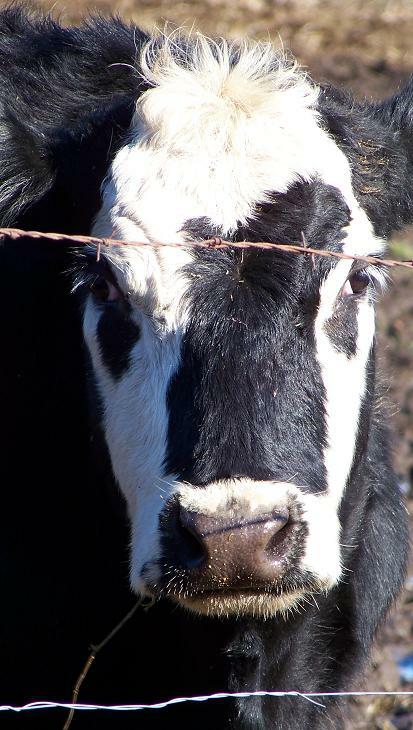 Hey, maybe I should apply to become one of those California cows. 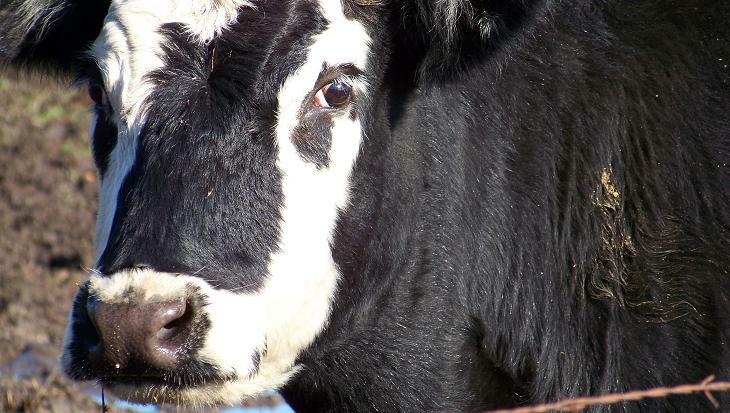 Does it matter if I am half angus and half hereford? Ok, dont let Gayle know I did this….. but wanna see my tongue?? We have been tracking Santa. Have you? Make sure you check it out…. you can see him flying toward your house. 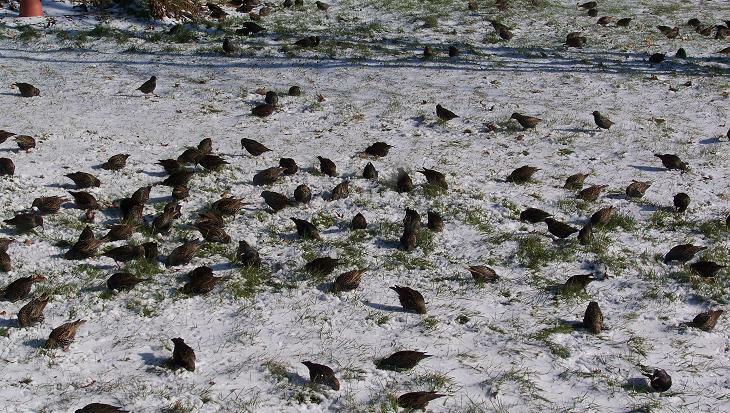 Yesterday there was a big flock of birds that visited again. We have seen them about every other day for the last few weeks. Usually they are in the pasture or the front yard. Sometimes there are so many it feels like I am in Hitchcock’s movie “The Birds”. 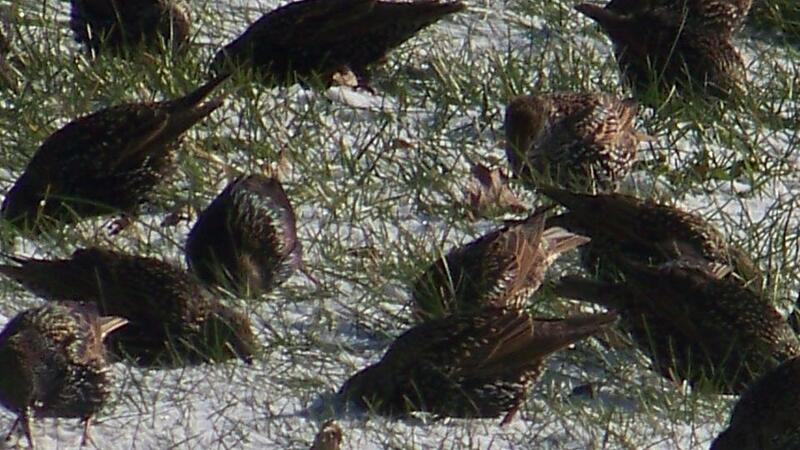 I finally got enough pictures that I am pretty sure that I can identify them as nighthawks of some sort. I think Lesser Nighthawks. When they are in a big group, it is called a kettle. Thus, a kettle of nighthawks. How’s that for a kettle of fish? When they fly off they are kind of strange. They fly in all different directions and are very erratic. They kind of look like drunk drivers flocking to the sky all at once. We have wondered why they dont crash into each other. Fun to watch though. They buried their heads in snow looking for bugs. Kinda funny. Today we had to get up early because the man was coming to fix the furnace. 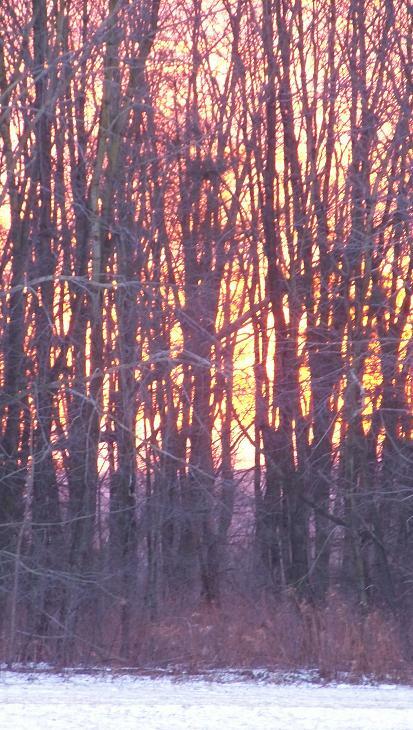 (except it still isnt fixed….. a whole other story) I hadnt seen sunrise in quite some time. 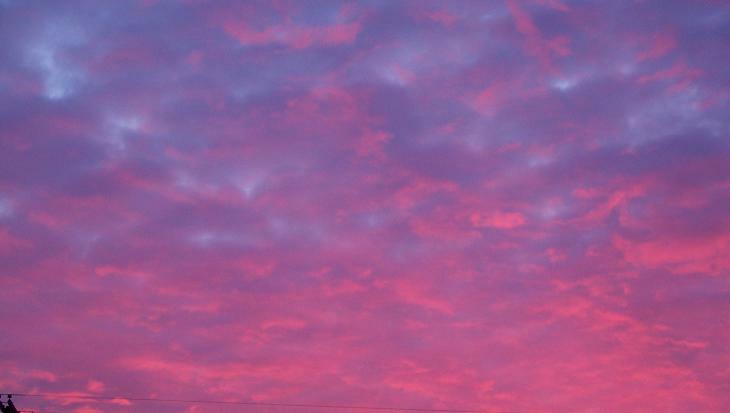 When I looked out to see this glory, I wondered why I dont change my sleep schedule. Now, if I could just dye fabric to look like that last photo. I’ve got nothin more to say. In case you hadnt noticed, I enjoy photography. And birds. And photographing birds. Sometimes it is hard to get a shot of them quickly enough. 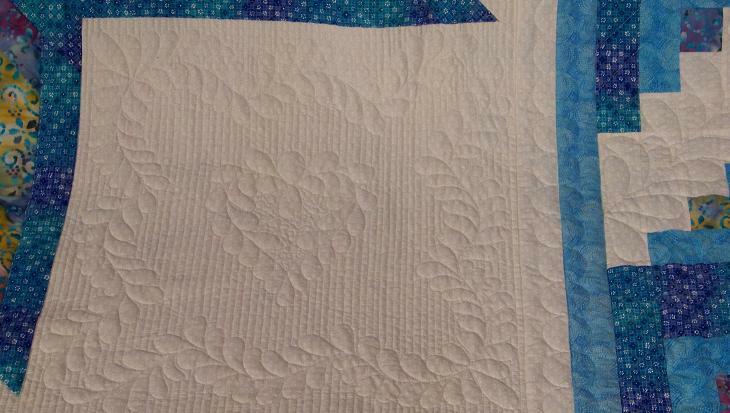 The camera is in the other room, or I am busy quilting or sewing, or I am washing dishes, when I see something picture worthy. Today I got lucky. I was also not as busy, so was actually looking for some photo opportunities. Steve took my car to go Christmas shopping, so I had a little different view out the kitchen. 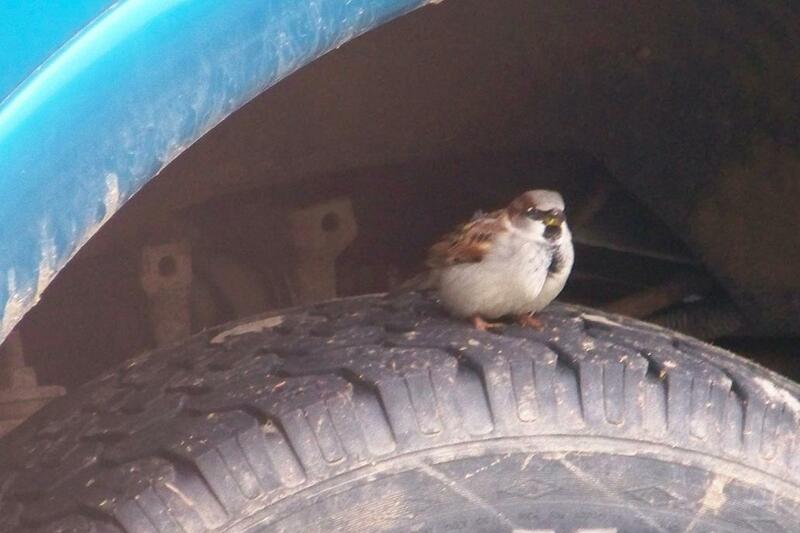 The birds seem to like his truck. 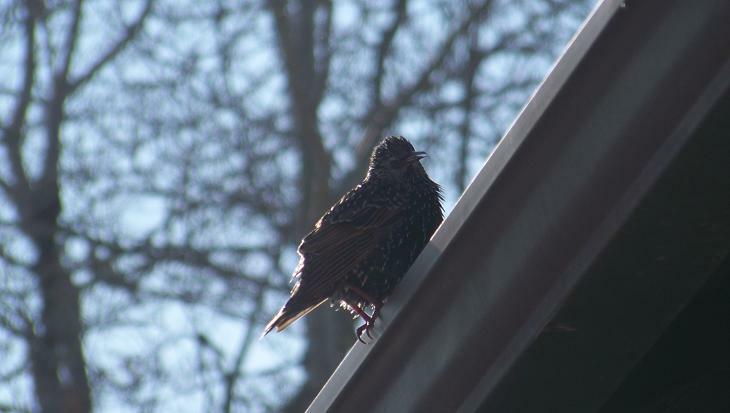 I dont know what kind of bird this is. Help me out Vicki…. 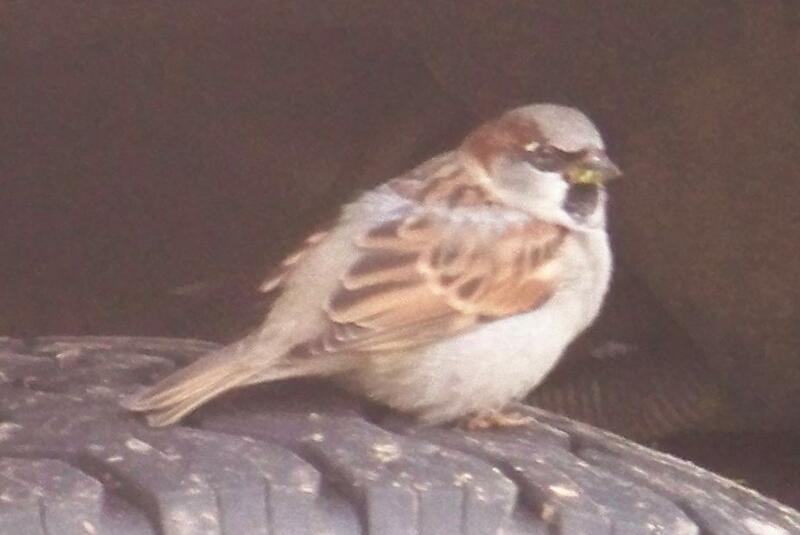 a sparrow? a wren? Whatever it is, we have lots of them. They love the seeds from the “weed flowers”. 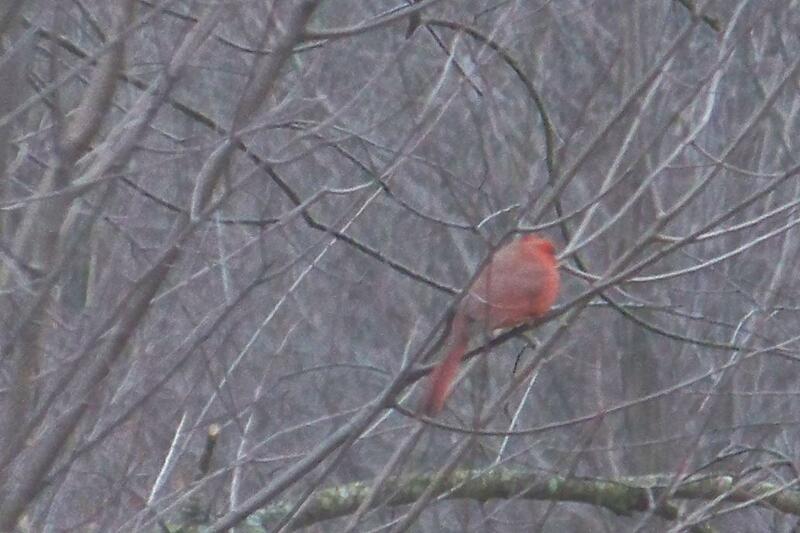 Later, when looking for more birds, I was delighted to find my cardinals. I had just remarked to Steve yesterday that I hadnt seen them in weeks. 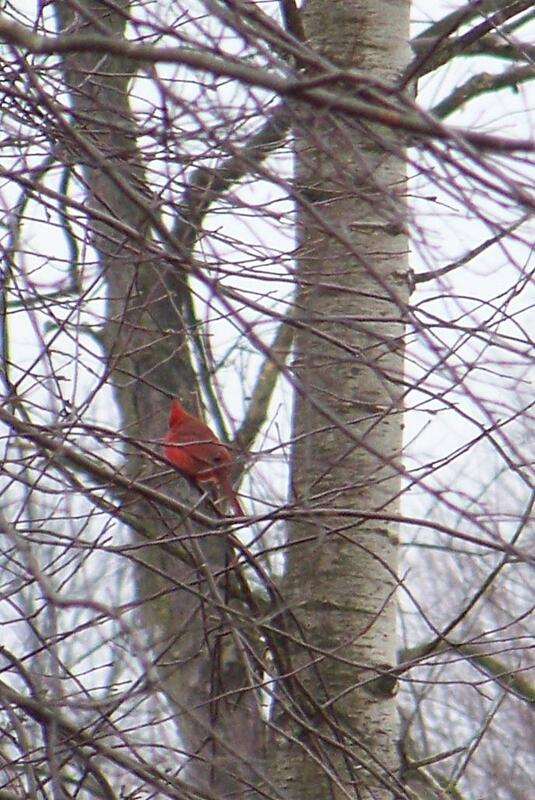 There were 6 cardinals, but I never could get a picture of more than one at a time. They were so active, it was hard to get a shot of even one! I hope Santa brings me some bird feeders. I did put it on my list. I was glad to be up and walking today. I had some kind of stomach flu yesterday and it wasnt pretty. Glad it is gone today. I didnt have much energy today, but at least my guts arent wrong side out! 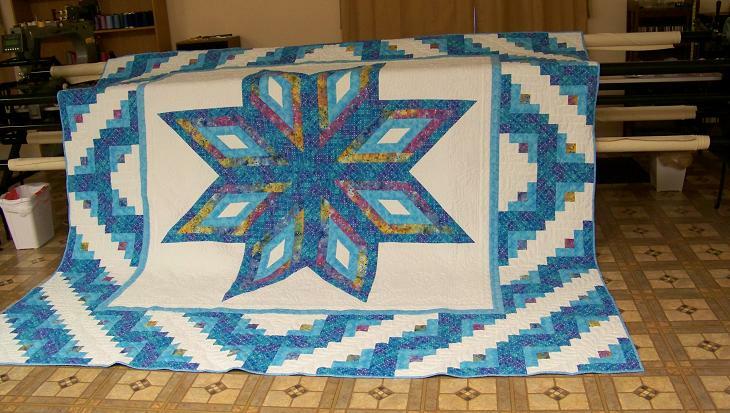 This is a quilt that I started in October, and finally finished this week. 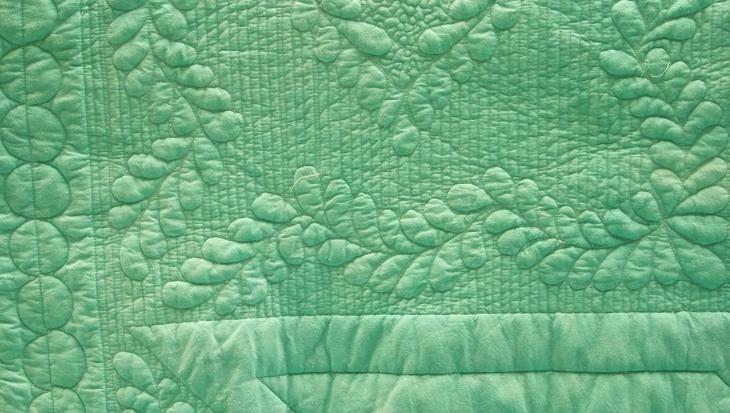 I quilted it last week, bound it over the weekend, washed and labeled it yesterday, shipped it to it’s home today. I hope Sue and Eric enjoy it. 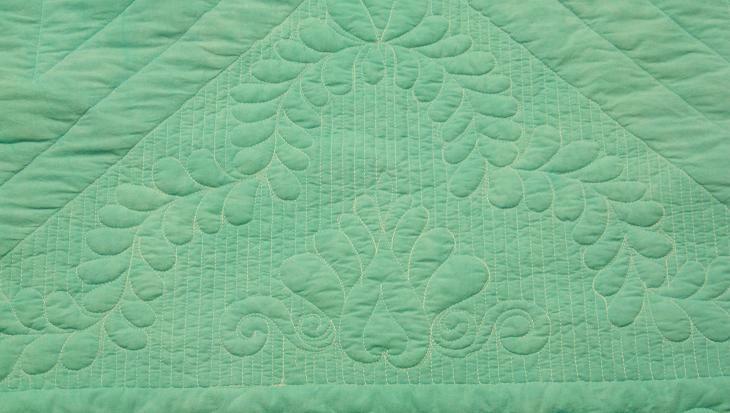 It has Quilter’s Dream Puff batting, white thread, a variety of feather patterns and stencils. 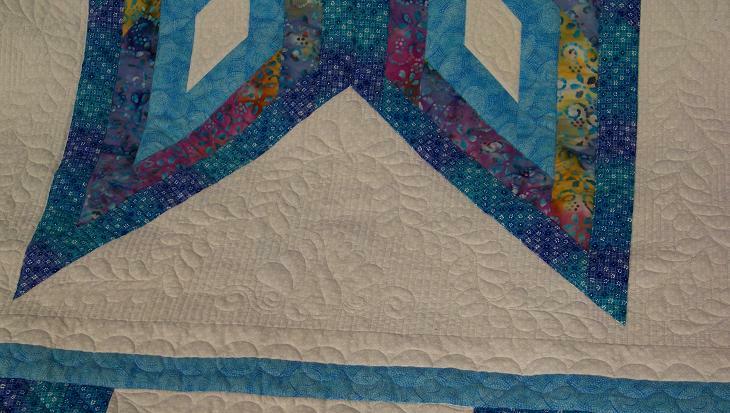 I used freehand, channel locks, marking and stitch in the ditch thr0ughout the quilt. I also hand dyed the backing. It isn’t exactly the color I was trying to get, but it’s close enough. 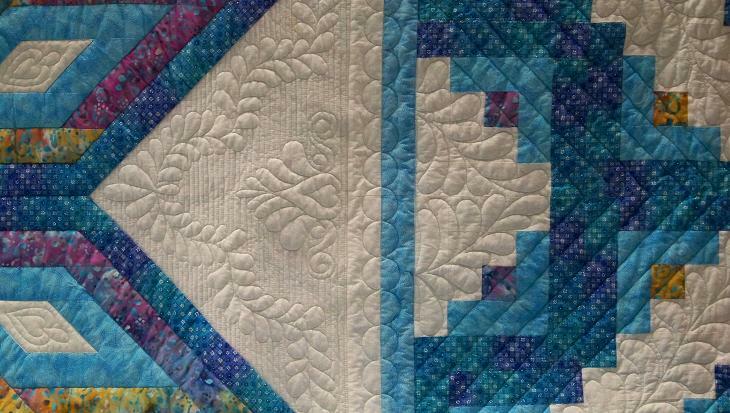 This is also the quilt Freda has asked me to give a tutorial on. I havent forgotten Freda, it’s on my lengthy To Do list. It would help to know if you want to make a queen or king size though. And a special thanks to Randi for posting easy directions on how to insert the pictures here on WordPress and still make them “clickable”…. which means you should be able to click on the photo to enlarge it again. I knew they had made big changes, but hadnt figured out the solution to that dilemma yet. Thanks Randi! Joe rocks. Yes he does. Joe Boxer that is. I am a pajama connoisseur. I know good jammies when I have em on. Actually, I know them when I see them. For comfort (because nothing else really matters) they need to be a little bit big, all cotton, no lace cuz it’s itchy, elastic waist, and preferably made by Joe Boxer. Joe just knows how to do it right. So today I did a KMart run. I only needed some little stuff for stockings. I walk in the door and the first thing inside the door is heaped full CARTS of JB jammies. and TWO, count em TWO pair in my fat size. I snatched them right up, since they were buy one get one FREE. hey, how could I go wrong? As I ambled around the store, there were FOUR places where they had heaped carts of JB jammies for women. and the only 2 pair in the store in my fat size were in MY cart. YAY for me! heres what one pair looks like. I snickered…… and then guffawed all by myself as I thought of both Kay and Adam when I bought these. I snickered….. and then guffawed….. I make myself so proud sometimes. I have on my new jammies and plan on watching Survivor Gabon. I’m voting for Sugar. Or Bob.